Download an Adobe PDF copy of the 2015-'16 ski season reservation form. Request for Reservations at Ponderosa Lodge. Payment of a 40% non-refundable deposit is requested with this form. The deposit is calculated at $24.80 multiplied by the number of guests listed below, multiplied by the number of nights requested. If there is a true hardship, we will accept installments. However, by your signature hereon, you agree to pay the full amount of the deposit even though the number of guests may decrease or you cancel your reservations before the full deposit is paid. On behalf of ______________________________________, I am requesting reservations at Ponderosa Lodge for _____ guests to arrive for dinner on __________________, 20__ and depart after breakfast on __________________, 20___. That space for this group is not guaranteed until this completed form is returned to the Ponderosa and I have either paid the non-refundable deposit or made arrangements for installment deposit payments. That the rate for lodging, breakfast, and dinner when rooms are booked to capacity is $62 per person per day, and that the deposit is $24.80 per person per day. Ponderosa Lodge will collect 6% tax from all groups not exempt from sales tax. The rate per person is higher if a lower occupancy rate is requested. With two guests per room the rate is $72 per person per day and the deposit is $28.80 per person per day. That if the number of guests which arrive is fewer than the number for whom reservation are made by this form, or if reservations are cancelled, there is a charge for $24.80 per day for each no-show booked at the $62 per person per day rate. If booked at the two per room rate, the charge is $28.80 per person for each day reserved. That if space is available, I may increase the number of guests at any time by calling the Ponderosa and paying the additional deposit. That Ponderosa’s charge is not decreased if any, or all, guests arrive late, depart early or miss any meal(s) or other service. 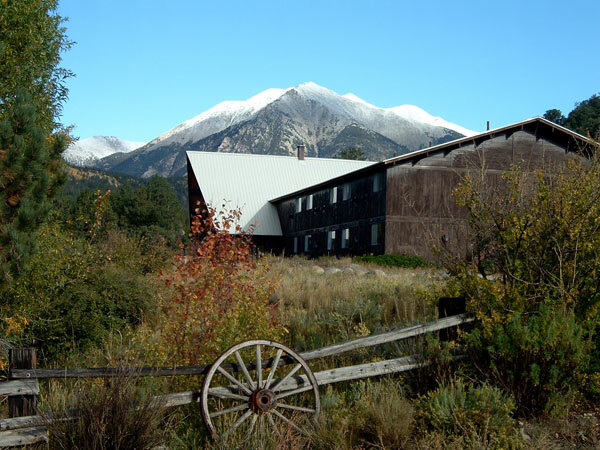 © 2007 Ponderosa Lodge, Inc. home  ski & snowboard  rafting  reunions  rates  reservations  about us  questions?